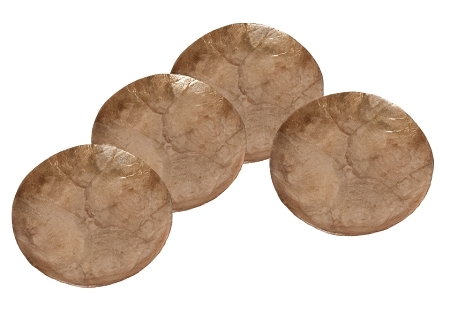 5" Capiz Solid Round Plate Set/4 (Smoke Gold). Also available in Natural White color. Dimensions: 5" diameter x .5"
Made of Capiz Shell with laminate resin finish.